Welcome to our Witney Corn Exchange, which was new to us in the Autumn of 2017. We turn down so many possible new venues each year as it is hard to find venues which we feel will live up to our reputation. But in Witney Corn Exchange, we we have found an exciting new addition. The Corn Exchange opened after refurbishment in 2015 and we are using the large ground floor hall. We always supply tables at this venue. The venue overlooks the bustling market place in Witney and really is centrally located. It’s a quality venue, in a beautiful building with high footfalls of around 1000 to 1400 per day. Witney itself is a town just 12 miles to the west of Oxford with a population of around 28,000. It’s a popular and quite prestigious place to live, modern yet having a lot of historical character still. There is a market in the town each Saturday and this draws in people from the surrounding area who don’t want to make the trip to the congestion of central Oxford. There is a total of 30 tables/stalls. 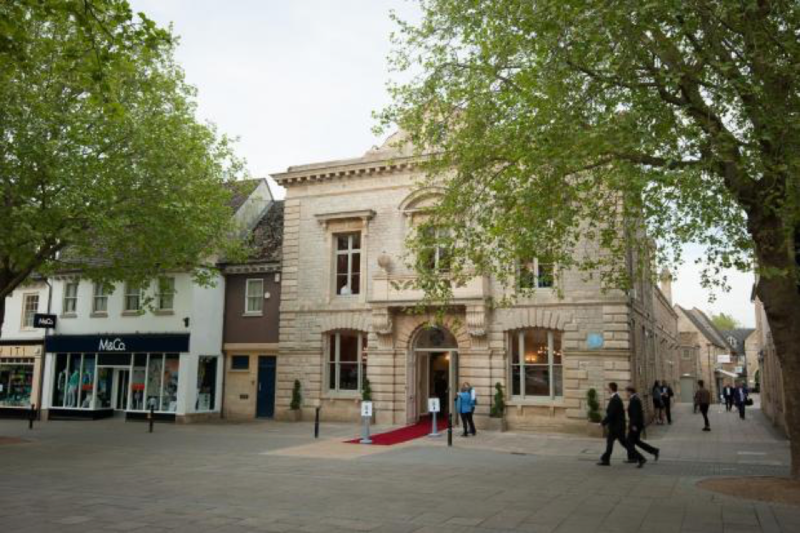 For help finding the venue please visit the 'Finding the Witney Corn Exchange' page by clicking here!